I was responsible for implementing the new look and feel across multiple pages on the site. Use recent brand refresh to create a new look and web experience. 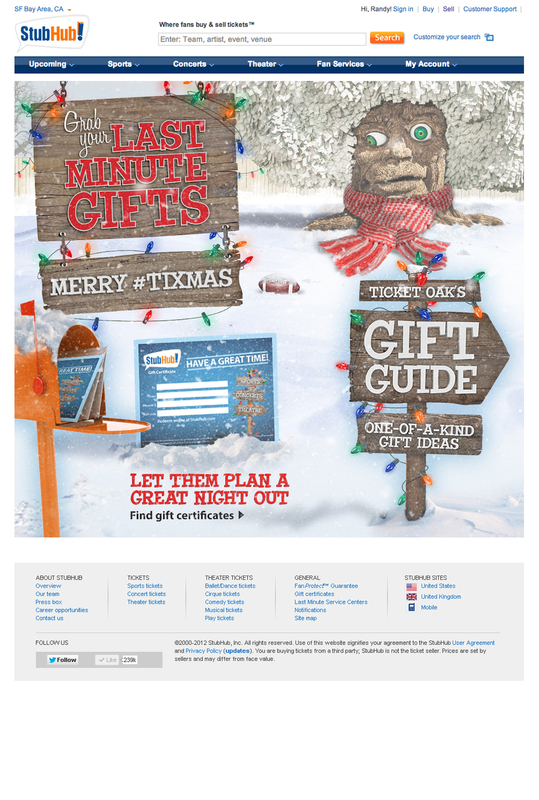 As a Senior Visual Designer, I was often responsible for any emails related to a campaign. marketing emails were sent out 1-2 times per week, which led to a rapid evolution of the em This usually meant that at any given time, there was at least one email campaign that I was working on. 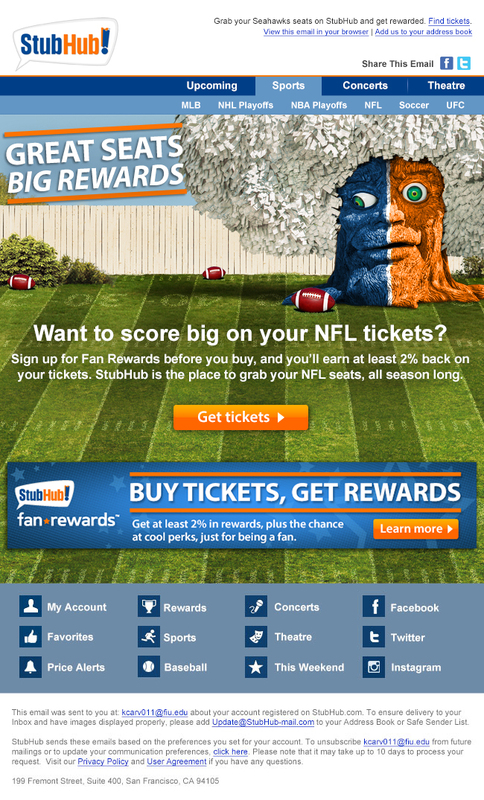 During my time at StubHub, the creative team was limited to using only generic, non-licensed images. This meant that with almost every campaign, key art needed to be created, based on the content of the email. Another limitation was the lockup copy, with orange bars on top and bottom. Although it is a signature design element for the StubHub brand, it usually required working closely with the copywriter to ensure that the copy in the lockup made sense, and of course, looked good. All emails were deployed using Responsys software. Along with keeping the emails in a modular format, the emails were also optimized for mobile. These tactics allowed for easy A/B testing, versioning, and advanced data metrics regarding the performance of all emails. 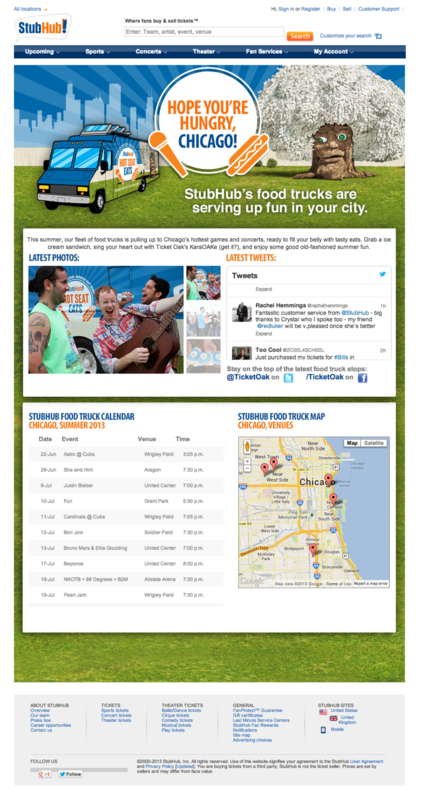 To effectively research, test, and design marketing emails using the StubHub brand or campaign look and feel as guidelines. Using the Responsys' Cross-Channel Marketing Solution, emails were optimized for A/B testing to drive customer retention. 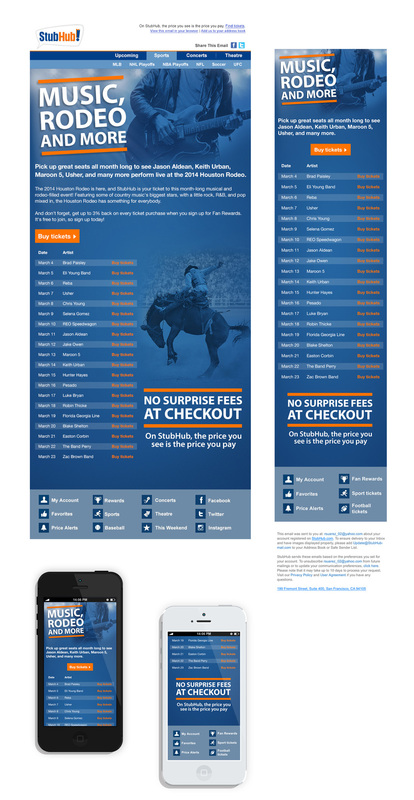 A collection of various landing page designs, done for Stubhub, Art.com, and AllPosters.com, from 2010 - 2014. All examples required a unique campaign identity to be developed, while at the same time, remaining consistently on-brand. Create compelling landing page experiences that effectively inform and engage users. Landing pages should also consistently remain on-brand and provide a clear path to conversion or retention. 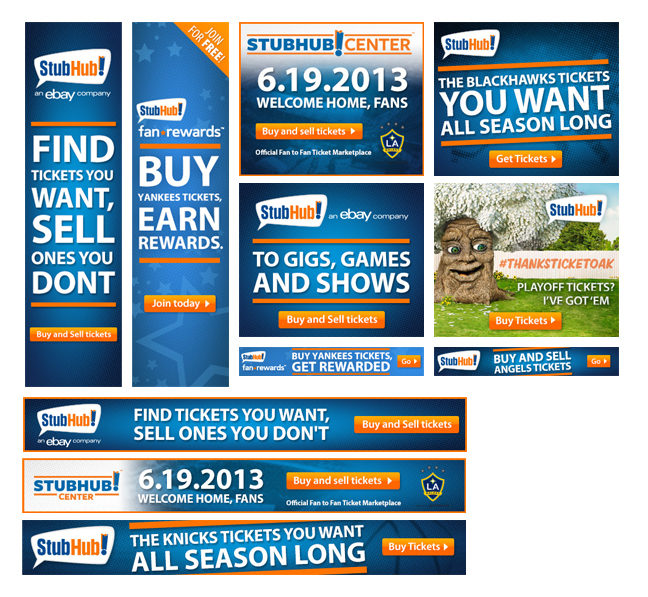 A collection of direct-response marketing banners, for StubHub, Art.com, and AllPosters.com. Most banners shown are static banners, deployed by SEM services such as AdChoice. Banners were designed to align with campaign, as well as remaining on-brand. Create interactive and visually stimulating web banners, that serve as the first point of contact to users in many cases. 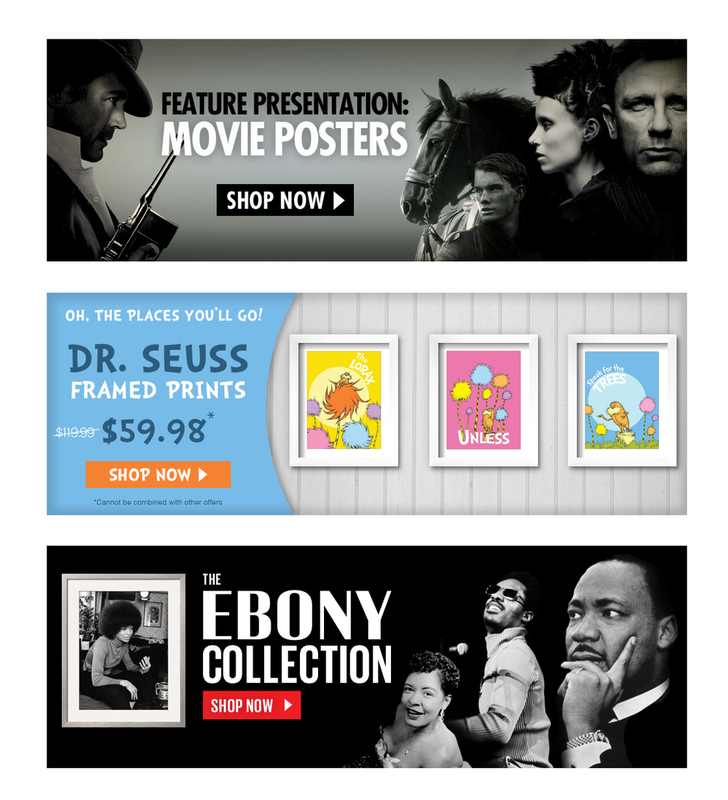 Web banners should have a clear purpose while extending the brand or campaign look and feel.